KILLING JOKE North American Tour!! 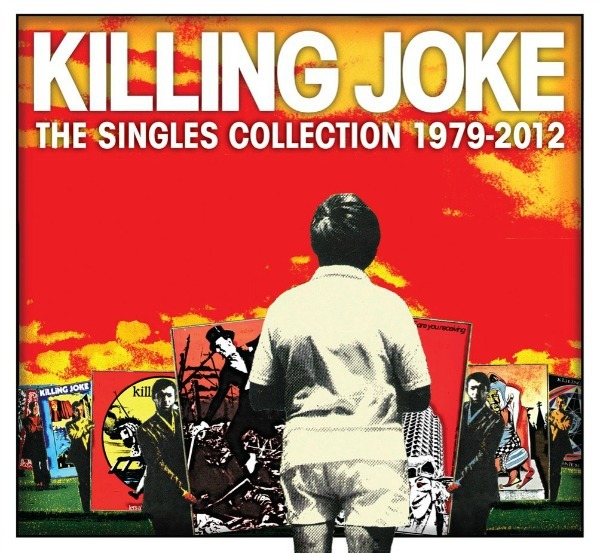 Capturing KILLING JOKE’s enormous ever-evolving story with a series of dark, apocalyptic songs that have successfully combined disco, funk and shamanic wisdom with the dark side of the punk rock fall-out, The Singles Collection 1979-2012 offers up thirty-three career-spanning singles over two CDs with an additional third disc of rarities, including previously unreleased studio tracks. The three-CD version will be limited in number, reverting to two CDs containing the singles tracks. The Singles Collection 1979-2012 is set for release via Spinefarm/Universal on May 14, 2013 with the digital version dropping two weeks prior on April 30th. Check out “Timewave” courtesy of Decibel Magazine at THIS LOCATION. For the full track listing, point your browser HERE. As a precursor to the release, KILLING JOKE will embark on a North American run of live dates set to commence April 19 in New York City. The special tour will coast through ten more cities before coming to a close on May 5th in Los Angeles. See the updated itinerary below. With a fierce intelligence combined with a thirst for esoteric knowledge that matches a sound that is visceral and almost spiritual in its primal spirit, KILLING JOKEare like no other. This is a group spawned from punk rock that set out on one of the most remarkable and idiosyncratic journeys ever. Their influence has been enormous, with an unlikely roll-call of musicians taking their cues from the KJ catalog, from Nirvana to most modern American metal to many DJs and dance music mavericks. With their original line-up of Jaz Coleman, Geordie, Youth and Big Paul continuing to hold firm, KILLING JOKE have something sulphurous and strong that few bands have come close to matching the band’s innate power. Details on a new full-length to be announced in the coming months. Stay tuned. ~ by thrashpunx on March 29, 2013.